Dechen London: Sakya Buddhist Centre was established by Lama Jampa Thaye in 2006. The Centre transmits the authentic meditation and Buddhist teachings of the 900 year old Sakya lineage of Tibetan Buddhism and is a part of the Dechen international association of Sakya and Karma Kagyu Centres. 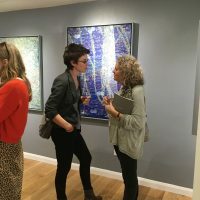 Having occupied a basement in Notting Hill for 11 years, in 2017 it moved to new shop front premises in Chepstow Road making it more accessible to people who want to learn more about Buddhism and meditation. The centre is one of many founded by Lama Jampa Thaye under the authority of Karma Thinley Rinpoche. The first Dechen Sakya centre was founded in the UK in 1977 and since then many centres and groups have been established across Europe and the Americas. Together the Dechen Sakya centres have hosted numerous visits and teachings from the heads of the Sakya tradition, the 41st and 42nd Sakya Trizins. Dechen is unique. 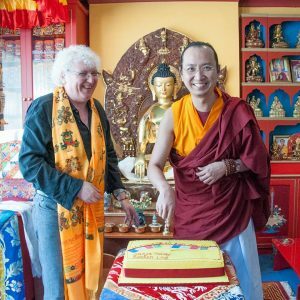 Lama Jampa Thaye is authorized to teach both the Sakya and the Karma-Kagyu lineages of Tibetan Buddhism. This follows his own teacher, Karma Thinley Rinpoche, who was recognized as a ‘tulku’ or reincarnate lama of both these traditions. The teachings of Sakya and Karma Kagyu are transmitted separately to preserve the blessing and power of their lineages of meditation. For this reason Dechen centres and groups belong to either the Sakya or Karma Kagyu tradition and are not mixed together.